So, what i s going on here? Well, this ETN pays a dividend every month. The January dividend was $.53, If they paid that every month then the annual dividend would in fact be 29%. However, the amount of the dividend varies by month. For example, last March it was only $.04 and this would equate to an annual dividend of just over 2%. The January dividend is probably an anomaly and NASDAQ didn’t take that into consideration when they calculated the numbers. So this note clearly isn’t as attractive of an investment as its top place on the list would suggest. In the first three quarter the dividend was $,22, so if the fourth quarter dividend was $.22 as well then the annual dividend would in fact be $.88. However, in the fourth quarter the dividend was $3.72. They pay a large dividend every fourth quarter. The stock price is marked down by this amount. The NASDAQ calculation assumes that they pay $3.72 every quarter so once again their numbers are misleading. 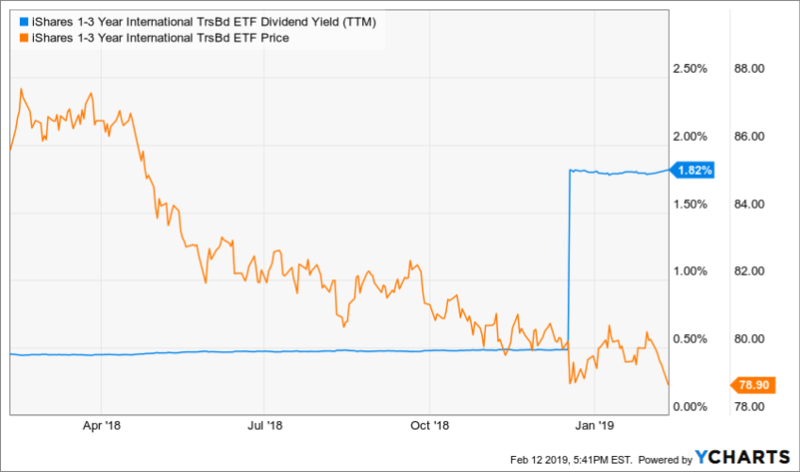 The iShares 1-3 Year International Treasury Bond ETF (ISHG) pays the third highest dividend according to NASDAQ. The iShares 1-3 Year International Treasury Bond ETF seeks to track the investment results of an index composed of non-U.S. developed market government bonds with remaining maturities between one and three years.The annual dividends are reported as $17.19 which equates to a yield of 21.8%. 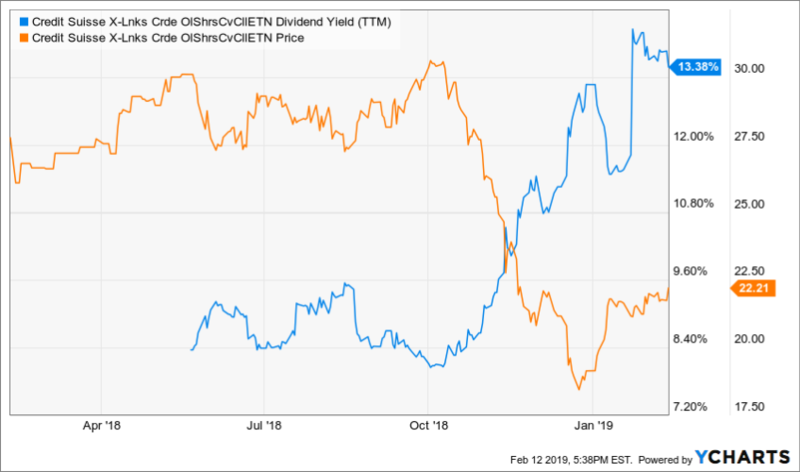 Ycharts says dividend yield is 1.8%. Again, the NASDAQ numbers are misleading. At the end of the year it paid a special dividend of $1.43. The NASDAQ data assumes that this is paid out every month but in reality, during most months nothing is paid out. 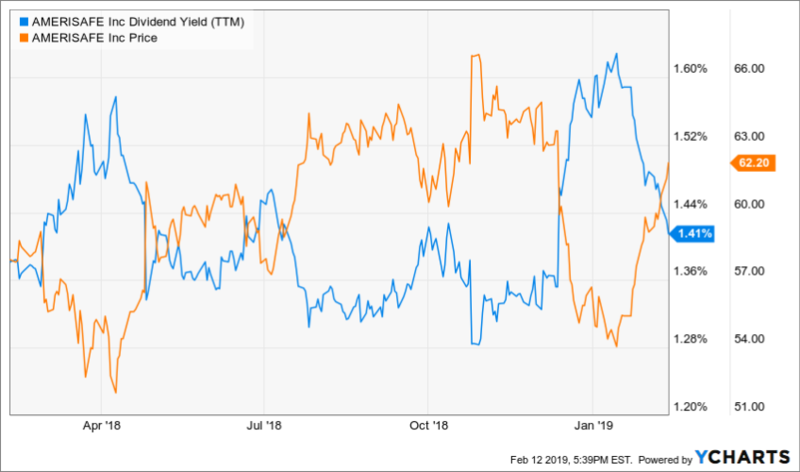 The actual yield is much closer to the 1.8% that Ycharts reports than the 21.8% reported by NASDAQ. Blueknight Energy Partners L.P., (BKEP) is fourth on the list. It has an annual dividend $.32 which gives it a current yield of 16.7%. BlueKnight Energy Partners LP engages in the provision of integrated terminalling, gathering, and transportation services. It operates through the following business segments; Asphalt Terminalling Services, Crude Oil Terminalling and Storage Services, Crude Oil Pipeline Services, and Crude Oil Trucking and Producer Field Services. It pays an annual dividend of $.32 so this one does actually have a current yield of 16%. The number shown on the below chart is wrong because Ycharts is using the old annual dividend of .$58 as part of it’s calculation. Number five is THL Credit, Inc (TRCD). It has an annual dividend $1.08 which gives it a yield of 16%. THL Credit, Inc. is an externally managed, non-diversified closed-end management investment company. Its objective is to generate both current income and capital appreciation, through investments in privately negotiated debt and equity securities of lower middle market companies. These numbers seem to be correct. 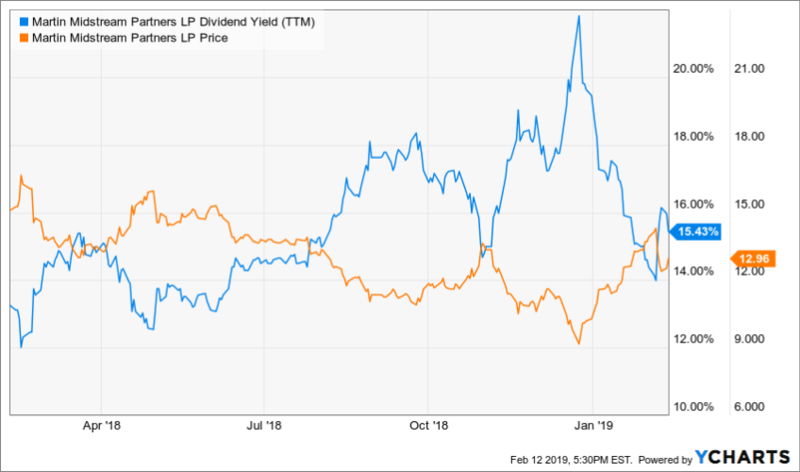 Martin Midstream Partners L.P. (MMLP) has an annual dividend of $2 which gives it a yield of 16%The company engages in the diverse set of operations focused primarily in the United States Gulf Coast region. It operates through the following segments: Terminalling and Storage, Natural Gas Services, Sulfur Services, and Marine Transportation. Oxford Lane Capital Corp (OXLC) pays an annual dividend $1.62 which gives it a yield of 15.7%. It is a closed-end management investment company, which engages in maximizing total return by investing in securitization vehicles which, in turn, invest in senior secured loans made to companies whose debt is rated below investment grade or is unrated. So in conclusion, if it seems too good to be true then it probably is. At first glance the idea of investing in a stock that pays a 29% annual dividend sounds very appealing. But some simple research shows that the numbers that NASDAQ publishes are completely erroneous and misleading. The top three stocks on the list are there due to anomalies. A 29% dividend would be a free lunch, and we all know that there are no free lunches on Wall Street. DISCLOSURE: I have no positions in any of these securities.